Reptiles are unique pets in many ways, one of which is their preference for deep bedding that provides plenty of opportunities for cool relaxation, nesting and burrowing. 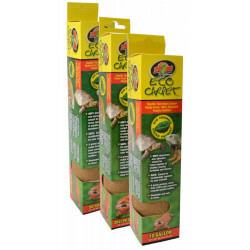 Our huge reptile substrate store features every type of bedding, for every type of reptile, including snakes, lizards, tortoises, frogs, and more. Bark and soil beddings are ideal for forest-dwellers. Moss bedding provides a suitable substrate for rainforest reptiles like tree frogs. 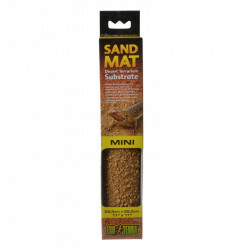 Desert critters prefer our specially formulated sand substrates. 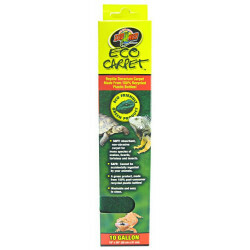 Reptile carpets offer the best of both worlds; they are economical, absorbent and washable for easy cleaning. 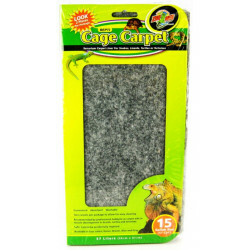 Carpets are recommended by professional hobbyists, as carpet aids in muscle development in lizards, turtles and tortoises. It is safe and cannot be accidentally ingested, and is available in a variety of colors to suit your pet and terrarium decorations.